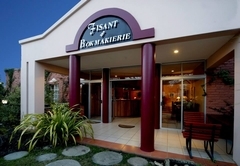 Fisant, Bokmakierie and Hoephoep Guest House is a highly recommended B&B with self catering option, providing accommodation in Bethlehem for tourists visiting the Thabo Mofutsanyana region. 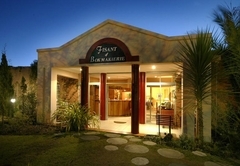 Atmosphere, attention to detail and personal service make Fisant Guest House very special. 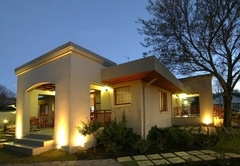 We are situated in the heart of the magnificent Sandstone Country, in the lovely town of Bethlehem. 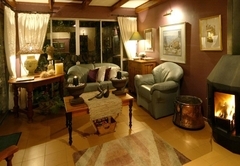 Relax in style and comfort in this tranquil setting with its beautiful gardens. Caring hosts, Du Toit and Sonia Human have created an elegant and cheerful ambience, perfect for the business executive or leisure traveler. Our 17 charming en-suite bedrooms with separate entrances are decorated with an artistic flair and include all the comforts that gave us our 4 star grading. 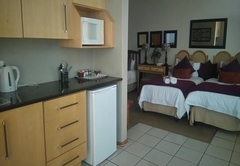 Our rooms have MNET and television, DSTV, tea- and coffee facilities with homemade rusks, fresh flowers, heaters and electric blankets for those cold Bethlehem winter nights. Some of our rooms have lovely self-catering units, each with its own distinct character, opening onto patios and a lovely garden. 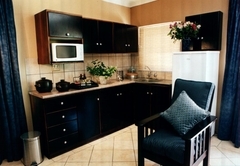 The kitchens are fully equipped with a bar fridge, microwave, and cutlery. We also have braai facilities available on request. A few of the rooms have their own small lounge where you can relax after a long, hard days work. 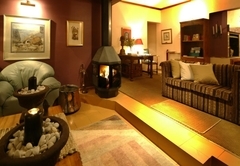 We also have communal lounges with lovely cozy log fireplaces, music, and good reading material, bar fridges and private entrances. These lounges provide the perfect compliment to cold winter evenings. Safe undercover parking is available to all our guests. Security fences ensure the safety of all our guests and their vehicles, entry via electronic gates. Enjoy our excellent buffet breakfasts in the morning and we also have lovely home cooked dinners on request on weekdays. 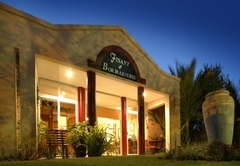 Fisant Guest House is situated in a quiet residential area, close to all the major restaurant and shopping malls and the Medi Clinic Hospital. We also cater for small conferences for up to 15 people. The private venue is decorated in distinctive style. Our catering is of high quality and our menu is something different. Our conference package includes all conference facilities - please enquire. Bethlehem is situated in the lovely Eastern Free State with easy access to places such as Golden Gate National Park, Drakensberg World Heritage Site and Lesotho. Bethlehem is only 2½ hours drive for OR Tambo International Airport and is a perfect stopover for foreign visitors before leaving South Africa. Bethlehem also serves as a convenient country stopover from anywhere to everywhere. Two single beds, en-suite bathroom with either bath or shower. 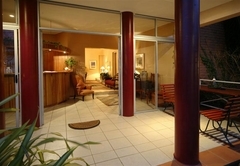 Either double bed with one single bed, or 3 single beds, en-suite bathroom with bath or shower. Semi- open plan igloo with double bed and en-suite shower. 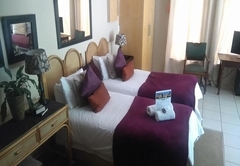 Queensize bed and 3 single beds OR 5 single beds, en-suite bathroom with bath and shower. We stayed at this establishment for about 3 days. The service we received was exceptional. This place is warm and inviting. It felt like home. Response timeFisant, Bokmakierie and Hoephoep Guest House typically responds to requests in 5-10 minutes. Cot can be provided for younger children.